Platelet Rich Plasma (PRP) is currently one of the most talked about procedures in the aesthetic industry and is a fantastic addition to any aesthetic clinic. Also known as the 'Vampire Facelift', it has shot up in popularity recently as people realise the high quality facial care it offers. Our PRP training course will prepare you with everything you need to know about the clinical procedure, and will of course be delivered by a team of experienced professionals. A small volume of the patient's blood is extracted using standard venepuncture techniques. This is then spun in a centrifuge to separate the platelets and plasma. The enriched platelets and plasma are then injected into the patient, with the whole treatment taking approximately 45 minutes. What can PRP be used to treat? Wrinkle/scar treatment - Injections in areas of skin with damage or wear, such as scars or wrinkles, can drastically help the appearance in a short amount of time, especially on older skin due to how the process works. Osteoarthritis - This condition is the most common type of arthritis in the UK, and is sometimes treated with PRP injections into the affected area. Studies actually found that PRP was more effective than hyaluronic acid injections for treating this issue (Raeissadat et al, 2015). Hair loss - In 2015, a study was published in the Stem Cells Traditional Magazine which reported that men receiving PRP treatment grew hair at a faster rate and with more density than those that did not receive the treatment. Who can take PRP training? The PRP training course is open to all doctors, dentists, nurses and midwives. You will need to be trained in venepuncture (taking blood). If you are not currently trained in venepuncture then please contact us and we can assist you in locating an NHS Trust who can train you. How does PRP training work? You will be trained through a combination of theory and practical work, allowing you to gain a thorough understanding of the science behind the procedure and how to implement it effectively. 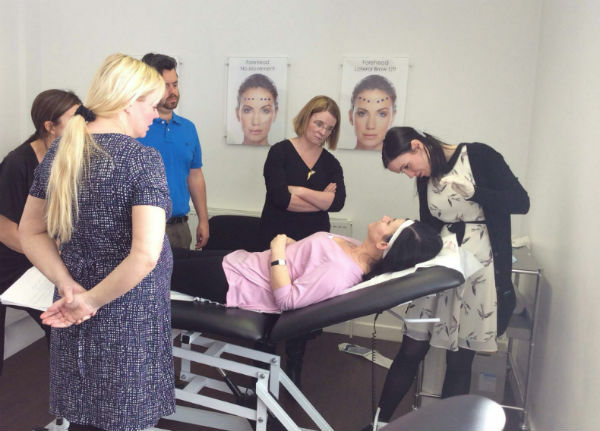 Your PRP training is provided by advanced, specialist practitioners. You will need a centrifuge in order to separate the blood. Portable centrifuges are available from approximately £300 or larger static models from £600. You are able to book a PRP training course with Cosmetica quickly and easily online. Alternatively, if you have any further questions, please complete our quick contact form or call us on 0845 467 7732. What are the benefits I can get from PRP training with Cosmetica? The ability to perform this treatment will be a great addition to your personal and your aesthetic clinics repertoire, and its popularity means that there will be a new realm of potential customers open to you. The flexibility of the procedure means that you will be able to treat a variety of people irrelevant of age or race or gender, potentially opening up new customer bases for you. Our student-focused training means that the lessons are tailored to provide a great learning environment, and the years of experience the teachers have mean they will be well suited to answer any questions you may have.